Lean Thinking: What Makes a Great Coach? I’m sure we’ve all heard about the often quoted 10,000 hour rule. The rule states that this amount of practice will lead to mastery over the given subject and thus to great success in the field. In fact, this is only half true. Practice alone is necessary but isn’t sufficient to lead to mastery. Take my golf swing for example. No amount of duffing balls off the tee at the driving range will make a huge difference in my swing (Please don’t ask me what my handicap is). The reason being I’m merely practicing the same mechanics over and over again and end up reinforcing my bad swing. 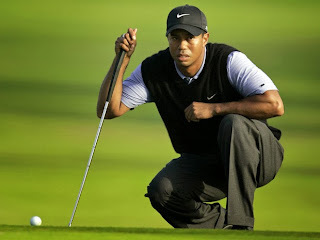 What I need to do is to make adjustments to my swing and to do that I need a coach. Not just any coach but one who can analyze my swing, understand where I’m at and then introduce a deliberate training program that corrects my swing. The adjustments are never easy since I’ve had years of repetition that have locked the flaws in place. To overcome these flaws and correct my swing I need to concentrate fully on applying the lessons from my coach. I don’t have a swing like Tiger Woods so my golf coach needs to improve my swing by introducing adjustments little by little. Each one needs to challenge me so I have to concentrate on it to incorporate it into my swing. And I need to practice it over and over again to lock it in. If the adjustment is too big, I’ll just give up because it’s too difficult. If it’s too small, I won’t need to concentrate and the adjustments won’t get locked in. Concentration is often something that gets overlooked but it’s concentration that creates the neural pathways in our brains that lock in the learning. As these get locked in they become automatic and provides a foundation upon which to make the next improvement. The last thing I need is a good feedback loop so as I try to make these adjustments I can see if they are working or not. On the driving range that usually means looking at the end result by admiring the flight of the ball. The problem is I’m looking at the end result and not the process of the swing. A better way would be to look at a video of my swing or to have a mirror set up so I could see what my swing looked like. Quick feedback on the process. Sounds like a PDCA loop and it is but it must applied with a human touch. What separate good golf coaches from good business coaches? Very little – it’s all about the coaching process. The subject matter changes but the process remains the same. Do any of you know any good coaches? If so, what is it about them that makes them a good coach? I’d love to hear from you.